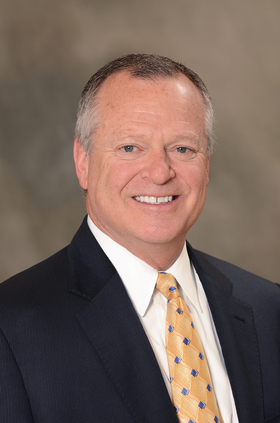 Joseph Fifer is president and CEO of the Healthcare Financial Management Association. The balance of power between providers and consumers is shifting, but many providers are slow to recognize and act on that shift. They don't seem to realize that their long-term survival may depend on it. Several trends are driving the move toward consumerism. Consumers have more choices about where to get their healthcare. Retail clinics and urgent-care centers continue to offer increasingly popular and often lower-priced alternatives to traditional care settings. Options such as telehealth and virtual office visits are becoming mainstream. Consumer attitudes are also shifting. The "doctor knows best" mindset has evolved, with nearly 7 out of 10 people in their 50s now saying they would feel comfortable challenging a physician's orders, according to the "Midlife in the United States" study conducted by the University of Wisconsin. Another challenge to the status quo: Technology is poised to disrupt primary care and clinical laboratory revenue streams, with smartphones now offering consumers the capability to monitor their own blood glucose, blood pressure and other health metrics. Beyond these trends is the underlying reality that people are paying more out of their own pockets for care. High-deductible health plans and other forms of increased cost-sharing are motivating—if not compelling—consumers to find ways to manage their out-of-pocket expenses. But consumers are challenged at every turn because accurate and timely price and quality information for healthcare services is still hard to come by. Recent years saw a flurry of activity in the transparency arena. Price transparency was the focus of studies, conferences and media coverage. But use of price transparency tools by consumers hasn't increase much. In fact, recent news reports and studies have shown that utilization of transparency tools remains in the single digits. There​ are​ several​ reasons​ why​ price transparency tools have not caught on. For starters, many people don't know they exist. Also, the tools fall short on ease of use, compared with tools for buying airline tickets, for example. In addition, they have limitations that necessitate making multiple phone calls to get answers. In those situations, the process of getting a price estimate is time-consuming and complex. Realistically, only the most motivated and sophisticated consumers have the ability and the tenacity to navigate their way through this process. We simply do not make it easy for consumers. One question that is not being asked is why providers aren't making a real commitment to delivering readily accessible price and quality information. If healthcare leaders were honest, they would acknowledge concerns about what the public will see when the veil is pulled back on healthcare pricing. But many would then turn to defending the cost structure that justifies their pricing rather than making the pricing structure more competitive. It's understandable that leaders are reluctant to make tough decisions before they have to do so. As economist John Kenneth Galbraith famously put it, "Faced with the choice between changing one's mind and proving that there is no need to do so, almost everyone gets busy with the proof." Nevertheless, the reality is that the market will determine the pricing that is acceptable and sustainable, especially for commoditized or easily disruptable services, such as lab tests or highly competitive services like ambulatory care. Shielding price information from consumers may delay the market shakeout but ultimately it won't change the outcome. Health systems can choose transparency, accepting that they will also need to consider expanding their price structure to include options such as price bundles, flat rates and self-pay rates. Or they can watch as volume migrates to competitors that provide upfront price and quality information and deliver better value. With consumers increasingly in charge, the choice for providers is to adapt or accept the consequences of clinging to the status quo.